MacDonald's secret menu, surfer survives shark encounter, and Back to the Future to return to cinemas. Bored of chicken nuggets? Don't fancy just another carton of fries? A McDonald's manager at one of the branches in Scotland has confirmed what loads of people have suspected for ages - there's a secret menu. 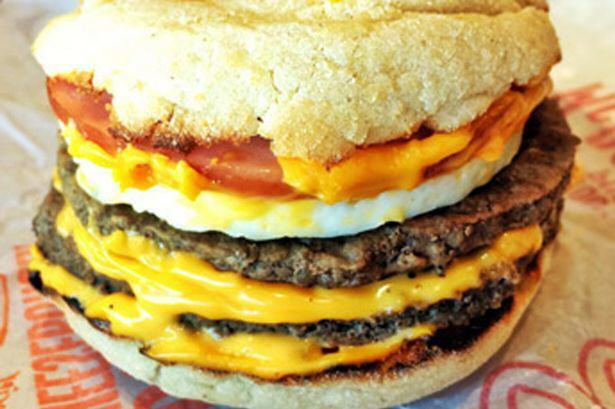 Secret Menu creations include the 'McGangBang', a McChicken Sandwich within a Double Cheeseburger. There's also the 'Monster Mac', which packs a mammoth eight beef patties into one mighty meaty burger. The whistleblower also revealed that although the fast food chain uses organic milk and free range eggs, the menu items branded as healthy aren't exactly what you might think. The chicken in the wraps is reportedly deep fried, as are the veggie patties. World class surfer Mick Fanning had a shock at the Jay-B Open in South Africa. During the grand final, he saw a fin, a shark grabbed his leash and he punched its back. His mum apparently saw the whole thing happen live on TV. Universal has confirmed that Back to the Future will reappear in cinemas to celebrate its 30th anniversary. The announcement was made at the film's reunion event in London last Friday, attended by Michael J. Fox, Christopher Lloyd and Lea Thompson. Get 21st October in your diary now and book those cinema tickets pronto. That's the date Marty and Doc fired up the flux capacitor with lightning, juiced up the DeLorean and jumped back to good old 1985.